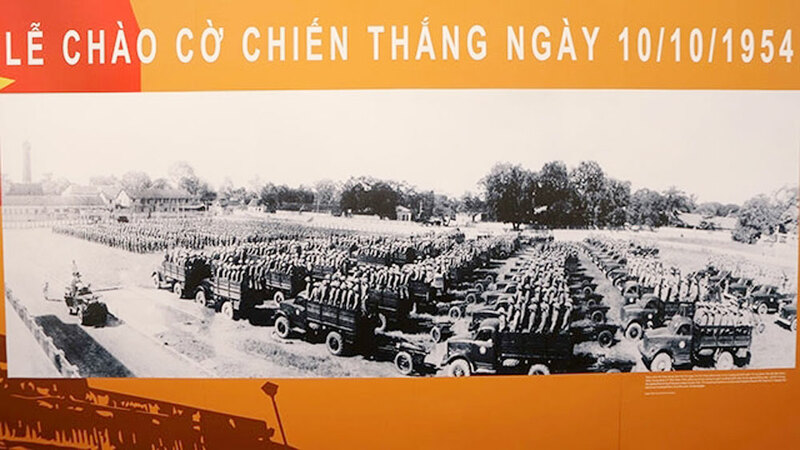 A photo exhibition named "Hanoi: Moments of October 1954" reviving historical memories of Hanoi’s celebrations of Liberation Day on October 10, 1954 is on display at the Imperial Citadel of Thang Long in downtown Hanoi. 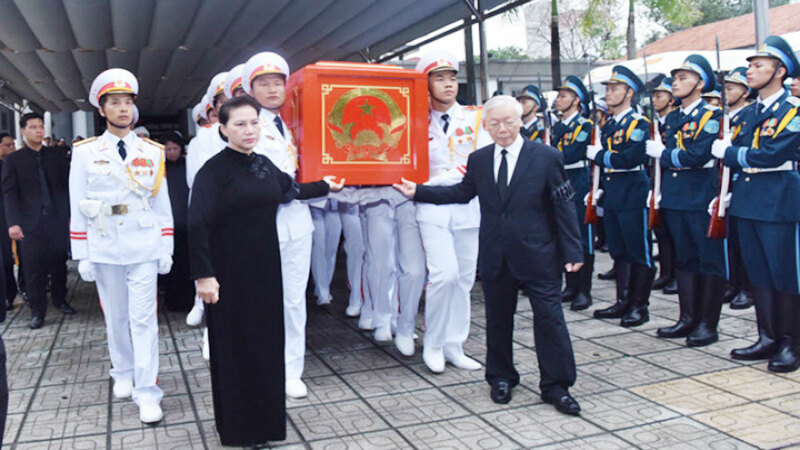 The exhibition takes place from October 3 to 31 to celebrate the 64th anniversary of the capital city’s liberation. 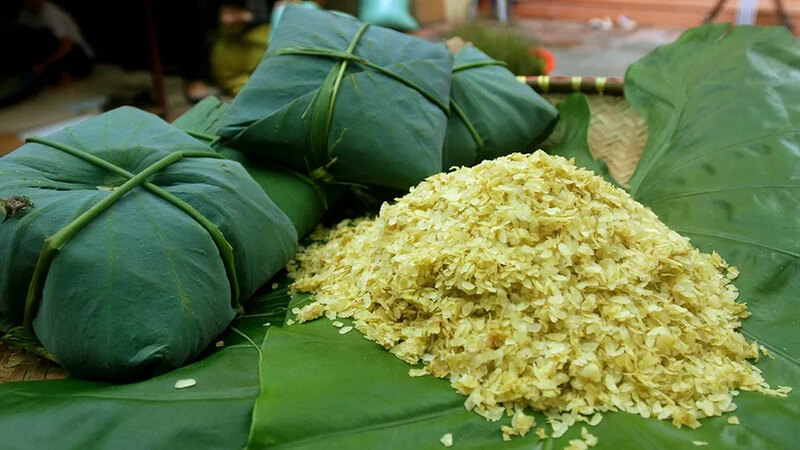 A photo at the exhibition. 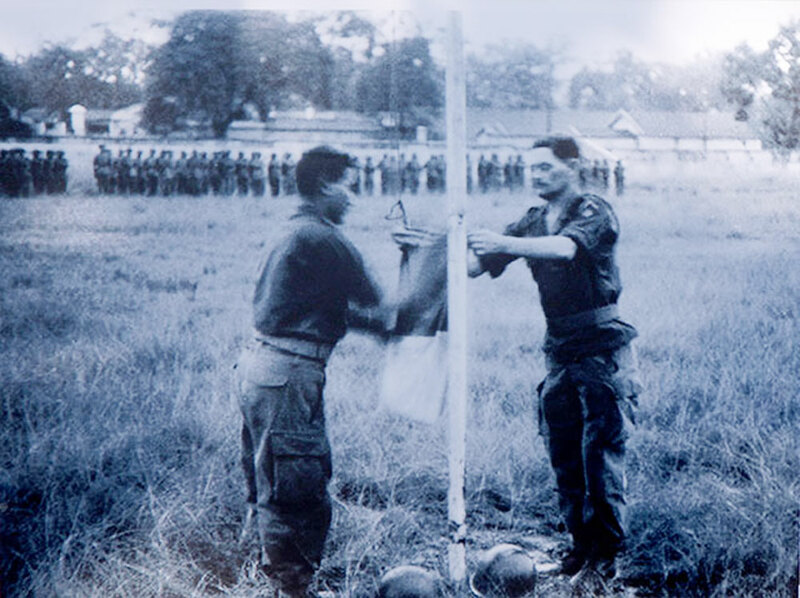 The French army lowered the flag at Cot Co stadium on October 9, 1954, to mark the withdrawal of the French troops from Hanoi. 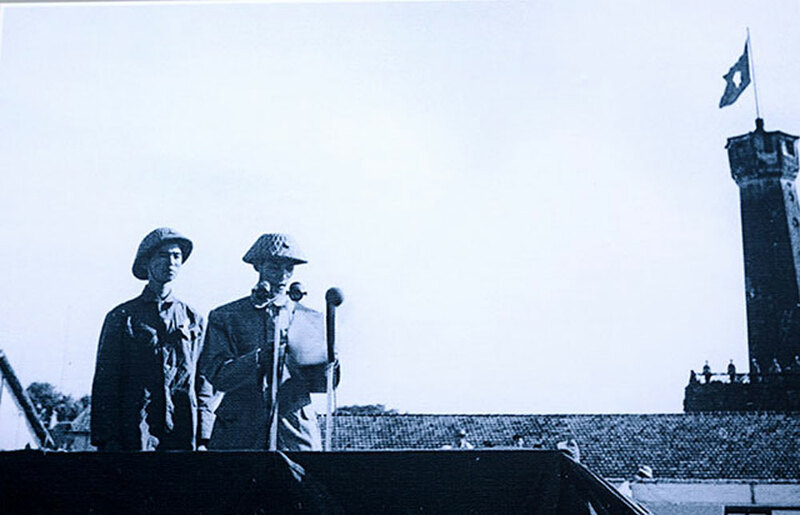 Major General Vuong Thua Vu on the podium. 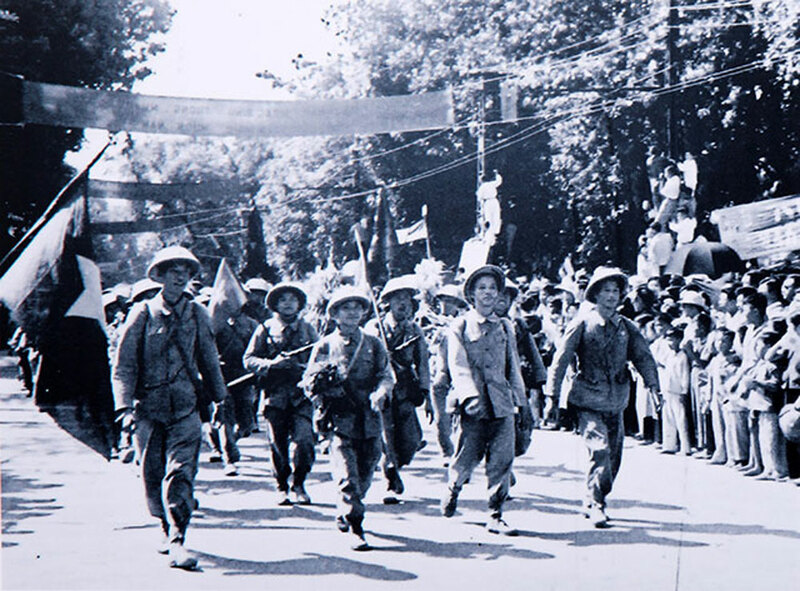 Soldiers as they entered Dinh Tien Hoang Street. 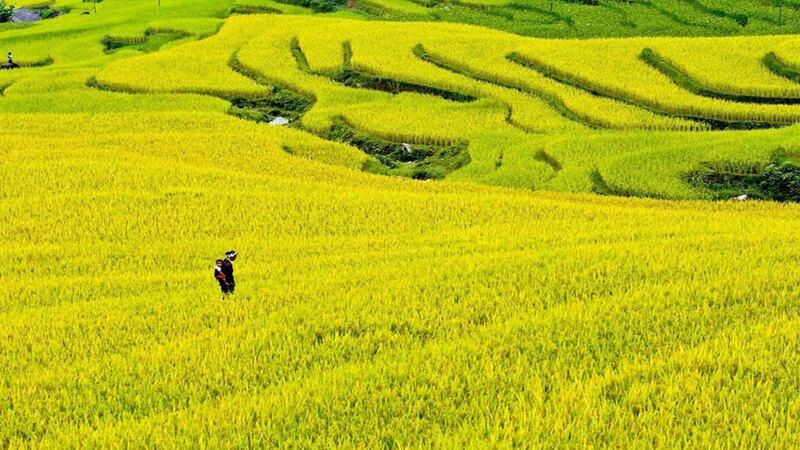 (Photo: Than Trong Ninh). 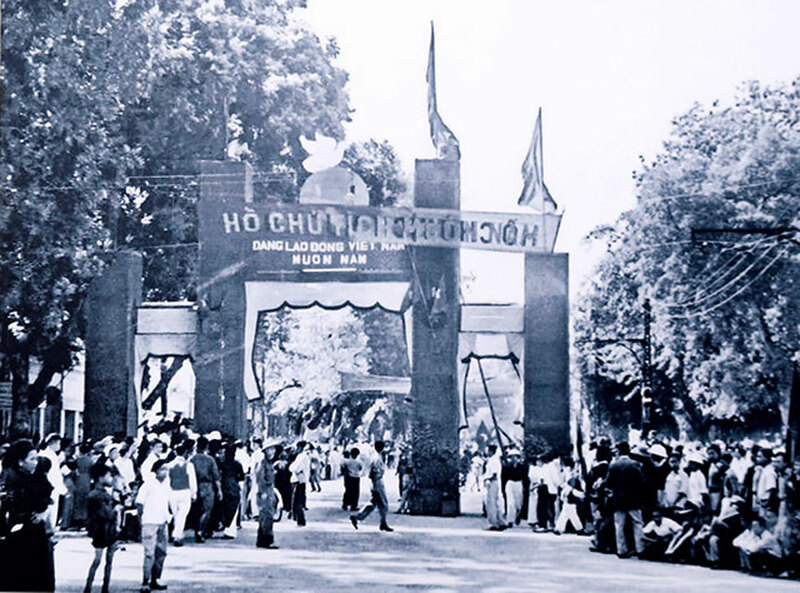 Welcome gate in front of Ngoc Son temple on October 10, 1954. 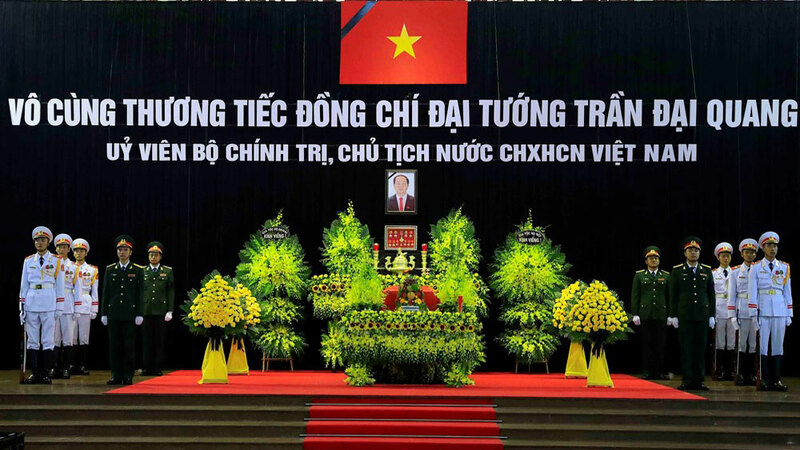 (Photo: Than Trong Ninh). 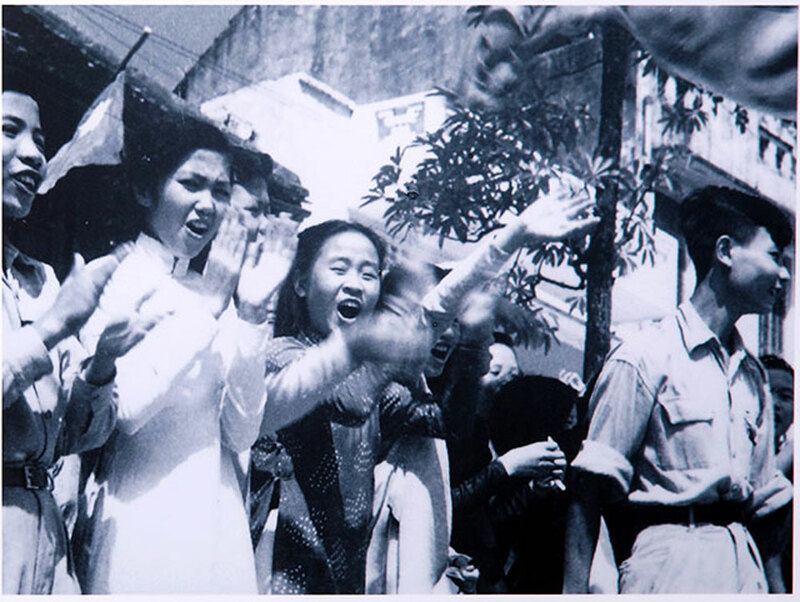 Hanoi students welcome the Vietnamese army, who were arriving to take over the capital city from colonial French rulers. 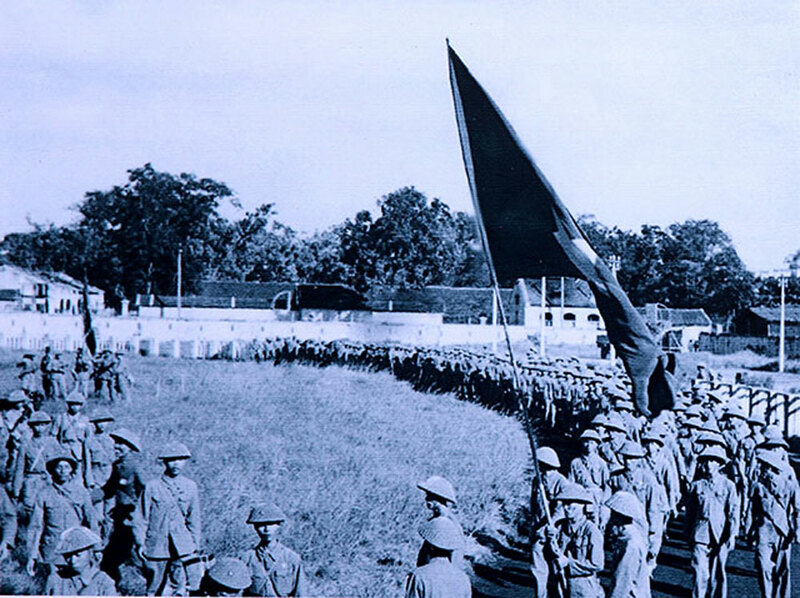 The flag salute ceremony at Cot Co stadium to celebrate Hanoi’s victory on October 10, 1954.